Back in the late 90’s and early 00’s, M. Night Shyamalan was the go-to director for plot-heavy genre fare. Well received by critics and audiences alike, his breakout film The Sixth Sense was nominated for a whopping 6 Oscars (when was the last time a horror film was nominated for Best Picture?) and became part of the pop-culture zeitgeist. A few hits and misfires afterward (mostly misfires) and the career of the man who was once revered by many as “The Next Hitchcock ” is in question. Enter Split, the film that seems destined to pivot Shyamalan back into the genre spotlight with a little help from the indie horror collective Blumhouse Productions. Split is one of those premise-driven horror stories that borrows a few tropes from different aspects of the genre. A few teen girls (Anya Taylor-Joy, Haley Lu Richardson, and Jessica Sula) are abducted out of the blue by a mentally ill creeper (James McAvoy) and are held hostage in some secluded underground bunker. We learn though some expository dialogue from a therapist named Dr. Fletcher (Becky Buckley) that our abductor Kevin is a man with multiple personalities (23 in fact) that can come and go as they please and seemingly take over Kevin’s personality at will. One is a child named Hedwig. One is a fashion designer named Barry. One is a diabetic named Jade. The most ruthless personality (we are told anyway) and the one who assumedly did the kidnapping is called Dennis, a clean freak with OCD who “enjoys watching little girls get undressed” So there’s that. Split doesn’t waste any time getting to the action – we see the violence take place even before the opening title makes it way to the screen. Shyamalan does take his time however getting to any sort of suspense, with the first half of the film mostly being filled with two scenarios: 1) the teens awkwardly trying to figure out the particulars of their abduction/abductor and 2) Dr. Fletcher explaining these outright to the audience. It doesn’t quite fit together, and much of the film’s first half feels like Shyamalan isn’t confident enough to run with the premise he set up before his name even appeared in the opening credits. The dialogue for most of these scenes feels so forced and expository, and – at times – thinly veiled with camp aesthetics. I’m almost positive the first appearance of Hedwig was supposed to be more creepy than comical but the theatre I was in started laughing at (not with) McAvoy’s attempt at a 9-year-old boy who wants to brag about the color of his socks. The film’s third act is when things get really interesting. After a prominent plot twist (a signature of the director’s) things go on overdrive and the Shyamalan with genuine talent shines like a bright beacon of cinematic dread. The last 30 minutes are surprisingly engaging and though not all the pieces of the narrative puzzle fall into place, you get the sense that Shyamalan is trying to flesh out some bigger ideas here. The momentum and suspense builds up at a tidy pace until a last minute cameo that feels nothing more than a shoehorned attempt to remind us that, yes – Shyamalan has directed some great horror movies in his filmography. Split doesn’t quite make the cut his other films have, but it’s still an enjoyable film nonetheless. 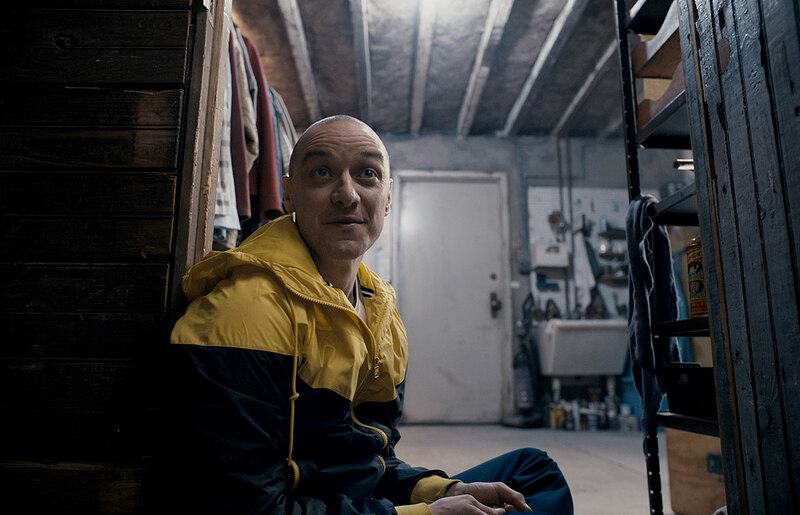 Bottom line: You might feel like Shyamalan himself has multiple directorial personalities, but a solid and satisfying third act effectively brings the director back into the horror spotlight.